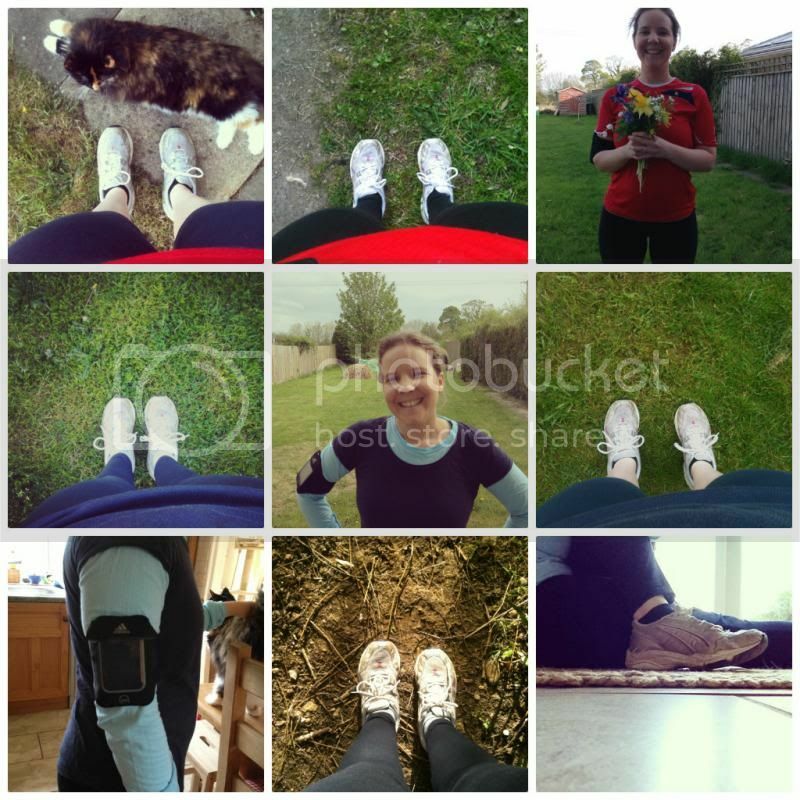 So it has been nearly a month since I started my running routine – I thought I would let you know how it was going. I aim to run three times a week, each run at the moment lasting about 20 - 30 minutes. I cannot run for the full twenty but I can certainly run a lot longer than I could when I first started. I use map my run on my iphone, which I put into this armband and it then tracks the routes I run so I can see all the details afterwards. Sometimes it is a real struggle to go out in the evenings but I have never regretted going out. Once I am on the road, I can literally feel the day’s events slipping away behind me. It has definitely been a stress-reliever for me. I am not a stress-ball (although I am sure others would disagree!) but I am quite an anxious person and running has helped me relax and feel good about myself. I make sure I go out as soon as Mani gets home which is normally around 5:50pm. My routine is getting into my running gear when I get home from work too and I also tend to not think about it too much otherwise I will convince myself to rather go out "tomorrow". It is all about forming good habits. 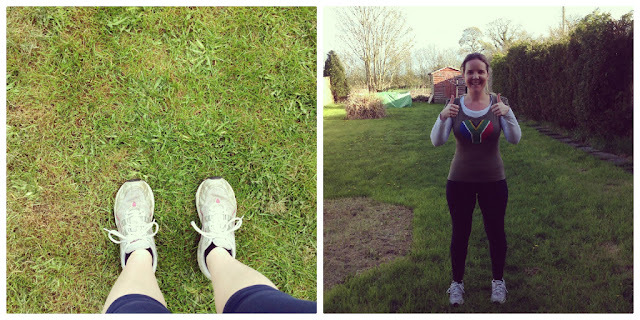 Each run I can feel myself getting fitter and it really does get easier. I love our little village – it is perfect for running. Initially I went out our back garden, into the fields and then onto more roads but I found it quite hard to run in the fields because of uneven ground and the tractor roaring past wasn’t ideal (although the farmer was friendly!). So I have changed my route to road running only and it has helped me better my pace and my running distances. My next aim is to get some better shoes – at the moment I have asics and they are super comfy but they are old and a bit weary. 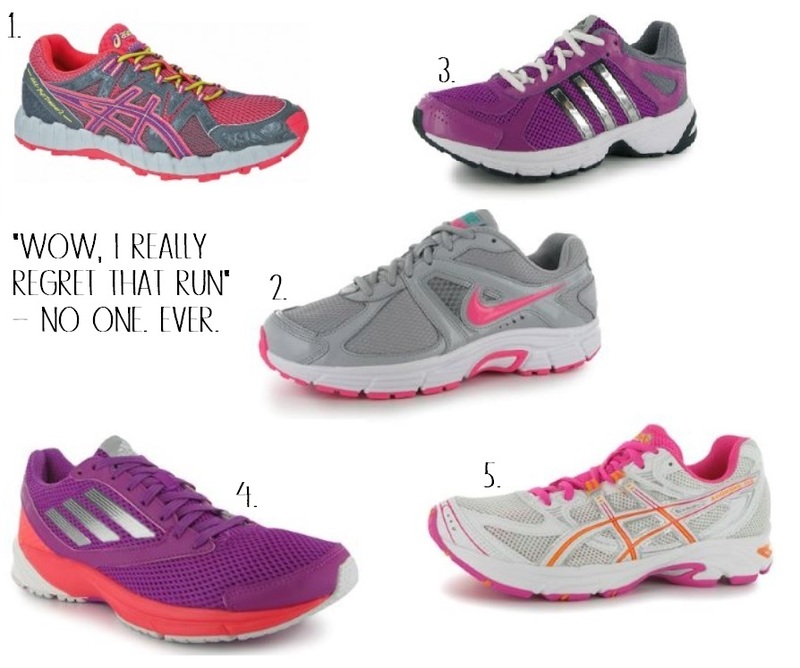 I love the look of some of the below and am hoping to get down to a running shop soon to try on a few. I just want them to be comfortable and good for my feet and running alike. Do you have any that you can personally recommend? I am glad I have gotten back into exercise. Since stopping drinking my energy levels have come back. Plus the fact I am following a new eating plan I am feeling the best I have done in years. I am proud of myself for getting back on track and I hope this inspires others to put on those running shoes and get yourself out there.